More people are living longer and we all want to stay fit and healthy in our later years. Lifestyle has a big part to play but so does access to prompt, good-quality healthcare when we need it. If you are in your 50s, 60s or 70s and have looked into health insurance you might have found that it can be difficult to find private medical insurance at an affordable price. How to find good quality customer service? How to get cover for pre-existing conditions? How to keep costs under control? You can click on the questions to jump down to the answers or carry on reading. First, we looked at why you may need private health insurance. We have also negotiated an exclusive 20% discount for members of our private medical insurance group, click on the link to find out how you can join. And you can get free, regulated advice over the phone from companies like Activequote.com. Businesses that are regulated have to be professionals and they are allowed to give you recommendations on policies. There are links to more free health insurance advice at the bottom of this article, which you can jump to here. Health insurance offers peace of mind when you need it most. It can give you access to top-quality facilities, at a time and place of your choosing, without enduring long NHS wait times. It can be easier to make appointments and it aims to make you feel more of an equal partner in your care and treatment. Private healthcare also has added benefits that can make all the difference when you are ill and feeling vulnerable, such as a private room, better food and a higher staff to patient ratio. Here's our longer guide to why private health insurance is worth having. We've also ranked the 10 best health insurance providers. Health insurance is provided by companies who are in business and who need to be profitable. It stands to reason that someone aged 30 with no health issues is less likely to make a claim than someone in their 70s, even if they are in good health. Although finding health insurance in your later years can be more challenging, health insurers are putting effort into generating more flexible and affordable policies. Some companies, such as Saga, already specialise in health insurance for older people and are ready to listen and understand your concerns. Where will I get the best quality customer service? We compiled a list of the top 10 of health insurance providers, which takes into account the quality of their customer service. It was based on customer ratings and expert reviews. Some of the providers that offer products that might be suitable for older customers and pensioners were praised for their customer service. Saga ranks in our top 10. These companies are likely to have experience helping people who have similar needs to yours and they may be able to tailor a policy to suit you. Insurers are respectful of the needs of older people. Where a couple holds a joint policy, companies like AXA are happy to speak to the patient rather than the named policyholder because they know that not all couples are comfortable sharing their medical issues with each other. Or if one half of a couple is uncomfortable making claim or unable to because of a condition, insurers can agree to speak to the other person to deal with all claims. Of course, the quality of customer service isn’t everything. You should also look at the level of cover provided by the policy. We created our list of the best health insurance using research from independent financial services review firms, which rate the features of the policy. As you get older, there is more chance that you will have a pre-existing medical condition that you will need to declare when you apply for health insurance. It can be difficult to find a policy that will cover the condition and they can make the policy more expensive. We’ve written a detailed guide on the options for people with pre-existing medical conditions here. Some insurers will automatically exclude pre-existing conditions, while others will not offer treatment until you have been trouble free for a set period, usually several years. Each provider has different terms and conditions, so you need to shop around and read the policy details carefully to find the most effective cover for you. Occasionally, an insurer will offer cover for long term, or chronic conditions, such as diabetes and hypertension (high blood pressure). For example, General & Medical’s personal healthcare policy offers a form of cover for these conditions, although it costs more and comes with a set of limitations such only being availble to people under 65 years old. It is inevitable that health insurance costs rise as you get older, just when you need it most. But you can still enjoy quality health cover at a more affordable price if you choose your policy and cover options carefully. Be prudent with the optional extras – Make sure you only select the cover you need and don’t pay additional costs for treatment or services that are not important to you. These can include dental and metal health cover. Have some treatment on the NHS – There may be some treatments you are happy to have on the NHS, and some that you would prefer to be handled privately, so think carefully about this balance and only pay for what you need. For example, you can cut costs by only taking private cover for major illnesses, such as heart and cancer care. The six-week rule – If you are happy waiting a set time for treatment, you can reduce your premiums significantly by selecting a policy that only kicks in if the NHS waiting list is over a certain length of time. That wait time varies between policies and although big names such as AXA, Health-On-Line and Vitality offer this option, not all providers do. 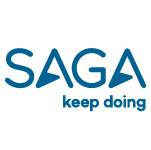 Saga has a four-week wait option. Be selective on where you are treated – The fewer hospitals and clinics you choose, the cheaper your policy will be, so limit your selection and try to avoid services in London or other big cities. Stay healthy and active – Many health insurance policies offer discounts based on your health and lifestyle, so staying fit and active can save you money. For example, The Exeter uses BMI as a guide, while others such as Aviva have more comprehensive questionnaires. We have also negotiated fairer insurance deals for our members using their collective buying power, you can explore our health insurance groups here, which include 10% cashback on health insurance for over 50s. Read our full guide to getting cheaper health insurance here. Are you struggling to find health insurance? We’ve explored some of the major issues facing older health insurance buyers, but we’d love to hear about any other problems you have come up against in your search for private medical insurance. Did you have trouble getting cover? Are there any health insurers you would recommend? Let us know about your health insurance concerns. Read our guide to the top 10 health insurance policies of 2016 or learn about our group for travel insurance for cancer patients.